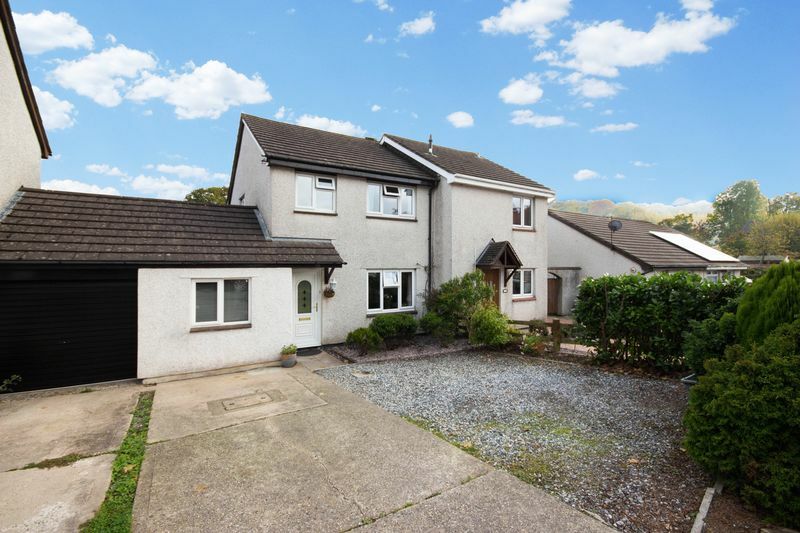 A well presented semi-detached family home benefiting from spacious light and airy four bedroom accommodation. 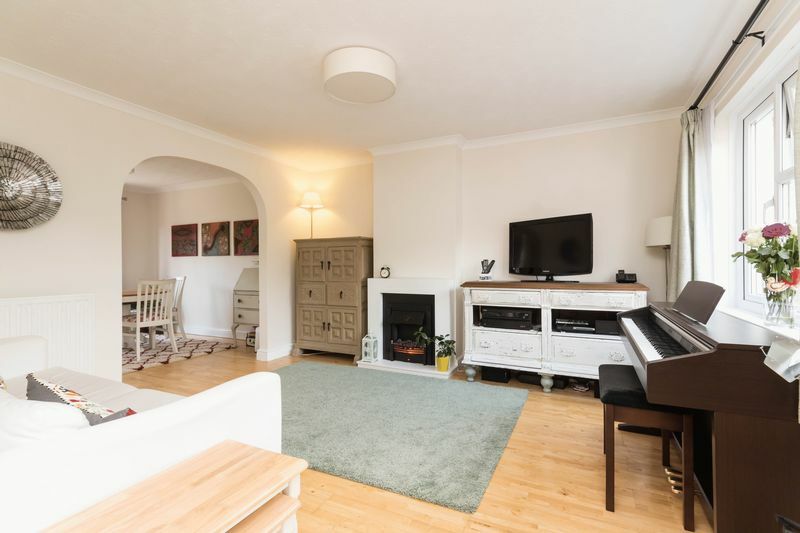 A wonderful feature of the property is the versatile downstairs bedroom with en-suite which can also be used as an additional reception room. Off road parking is available for a number of vehicles along with on street parking for visitors. 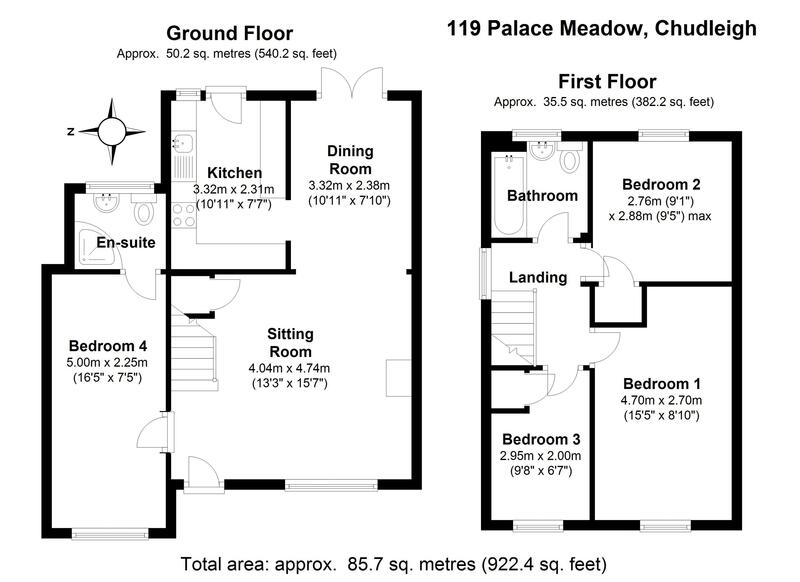 Palace Meadow allows for easy access to the town centre and all of its amenities. The Bishop Lacy is the closest public house which is approximately an 8 minute walk. You enter the property into an entrance hallway via a UPVC front door. 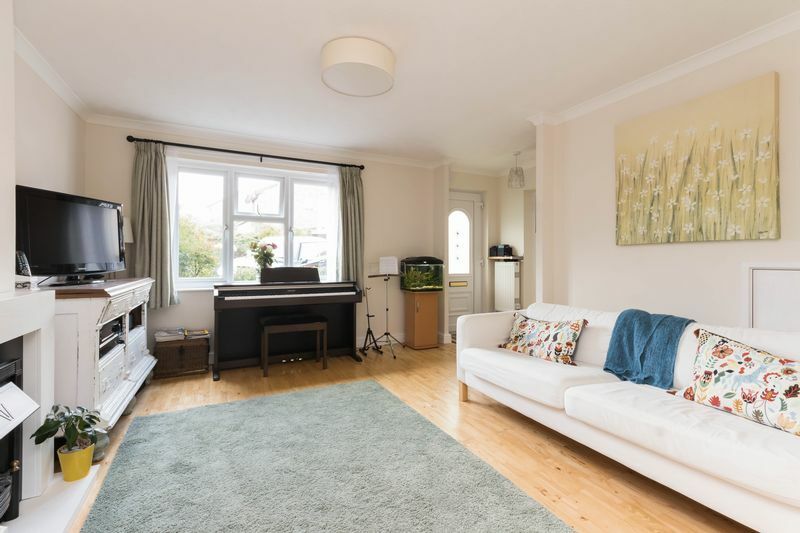 An opening leads into the bright and airy living room with a window overlooking the front aspect which allows ample natural light into the room. 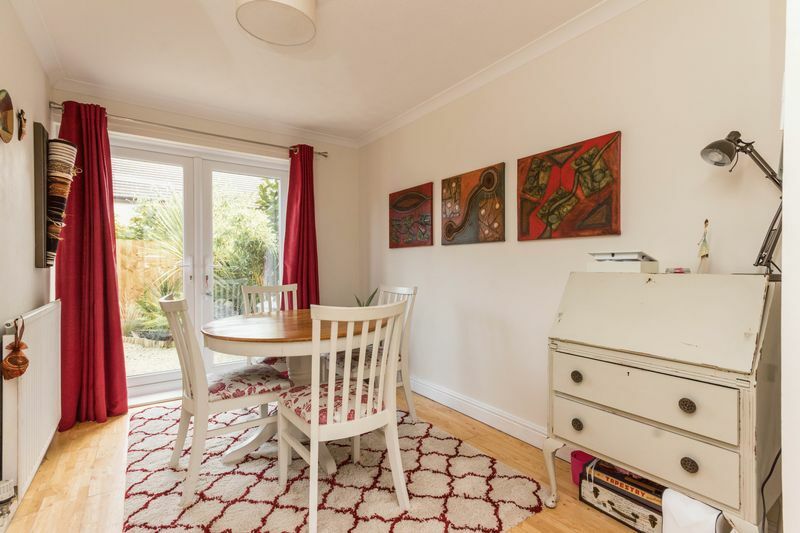 The recently decorated walls are neutral and complimented by the wood effect laminate flooring which continues through to the dining room. An electric fire with a modern surround creates a focal point to living room. An archway leads into the dining room. Double French doors lead onto the garden. 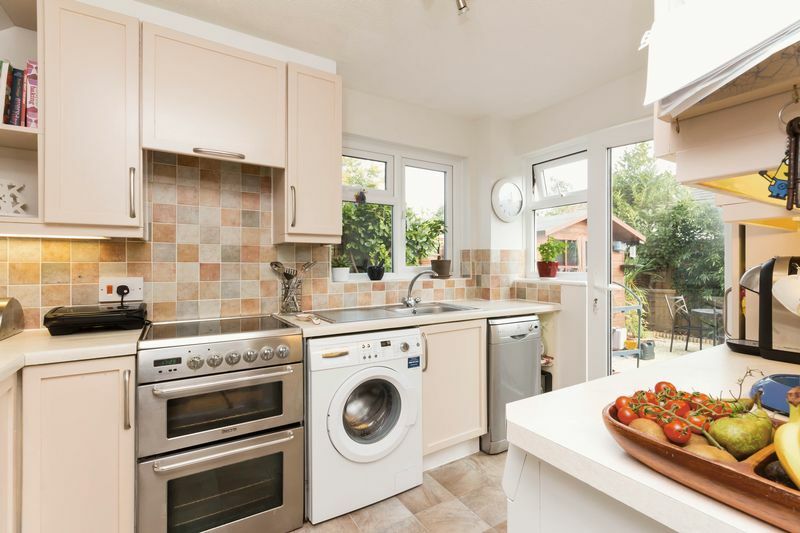 The kitchen has a range of base level and eye level units, complimented by attractive wall tiles. A one bowl sink and drainer is set into the work surface, ideally positioned beneath a window. There is a further window and a door leading onto the garden. 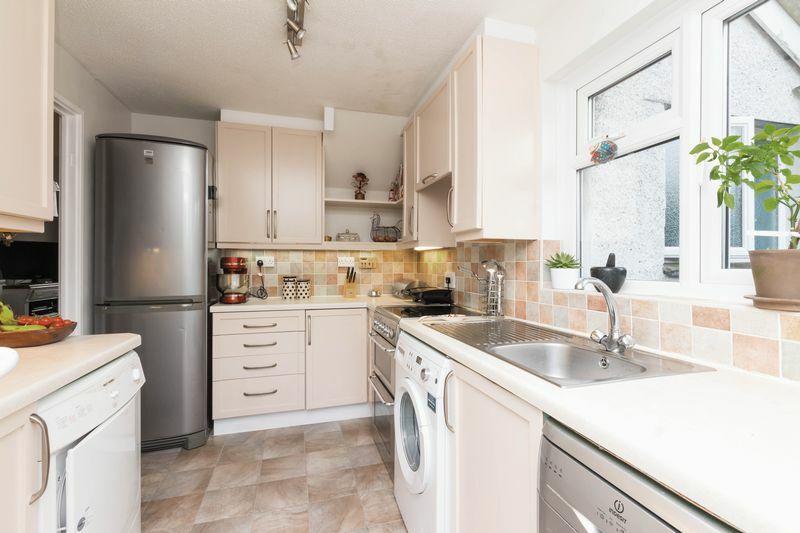 There is space for a freestanding cooker, slimline dishwasher, fridge/freezer and washing machine. 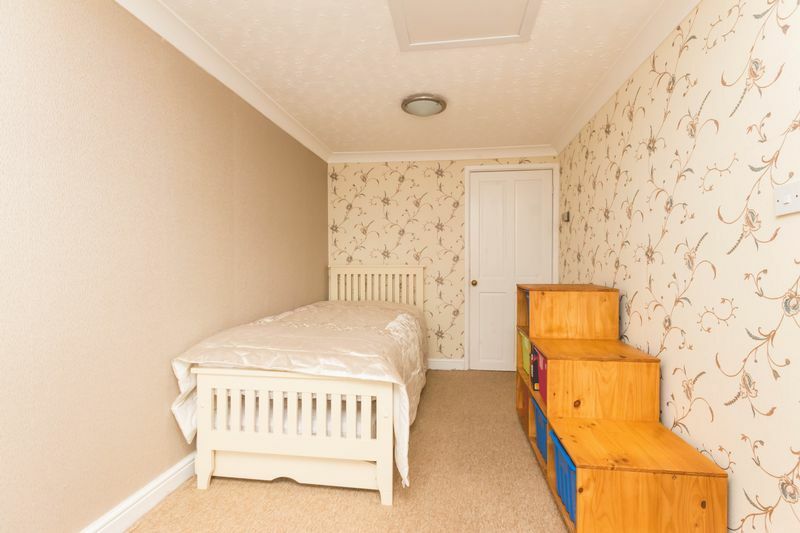 Also on the ground floor is the fourth bedroom which could be easily used as a second reception room. A window overlooks the front aspect. A door leads into the shower room which has been beautifully fitted with white tiles to the walls and contrasting black tiles to the floor. 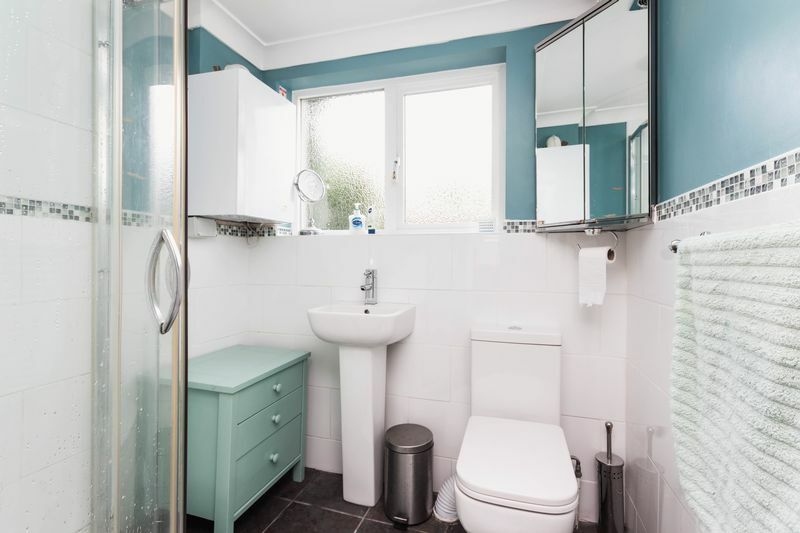 There is a shower unit, WC and wash hand basin. 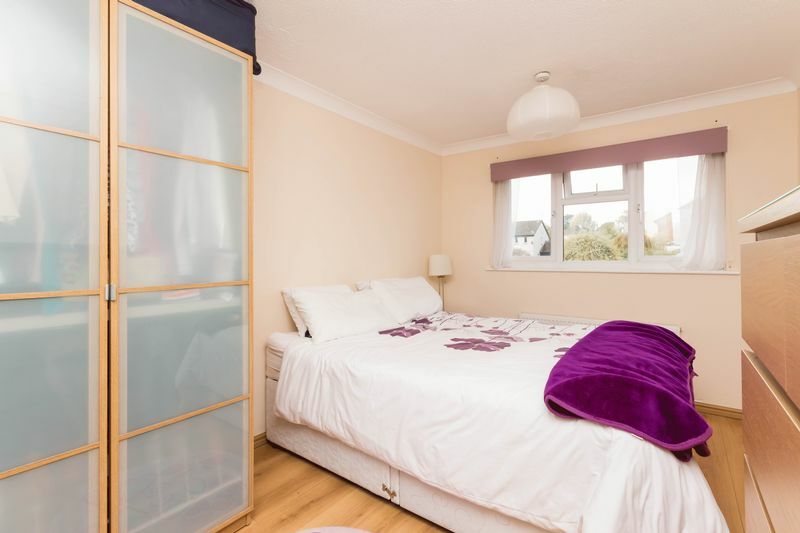 On the first floor is the main bedroom which is a generous double room with lots of space for wardrobes and a window overlooking the front aspect. 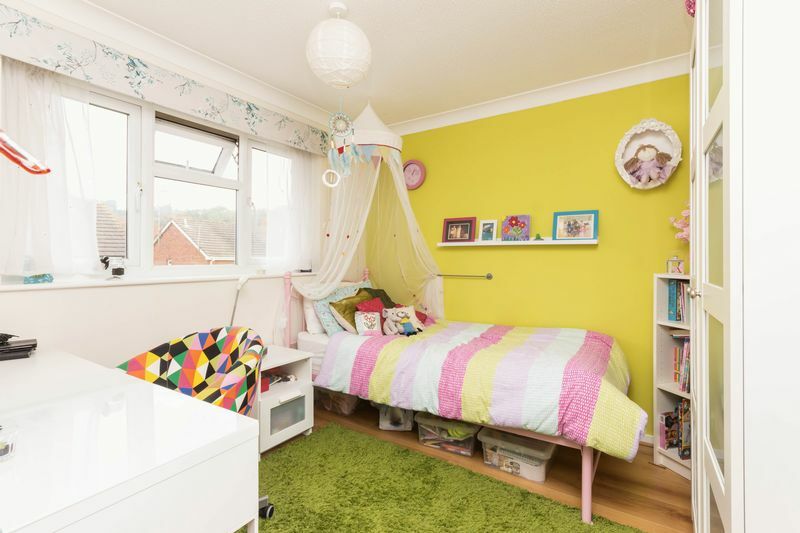 The second bedroom is a further double room with views of the garden and towards the surrounding countryside. 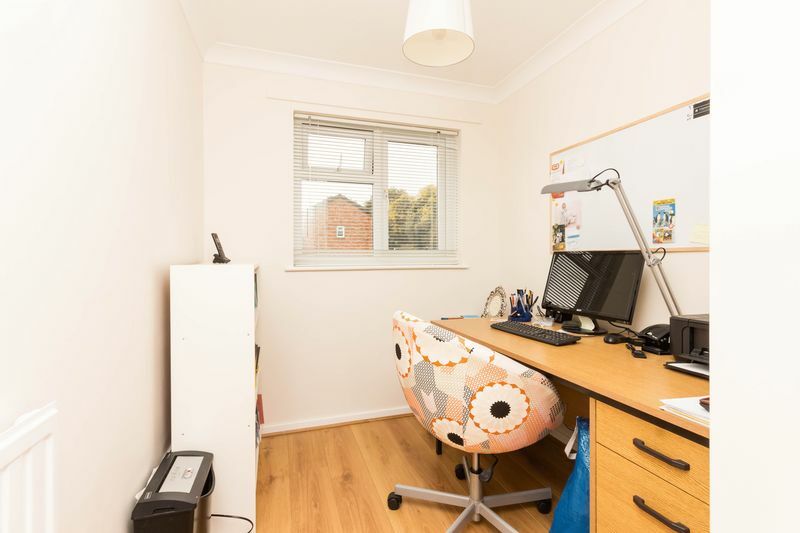 The third bedroom is a single room, currently being used as a study. 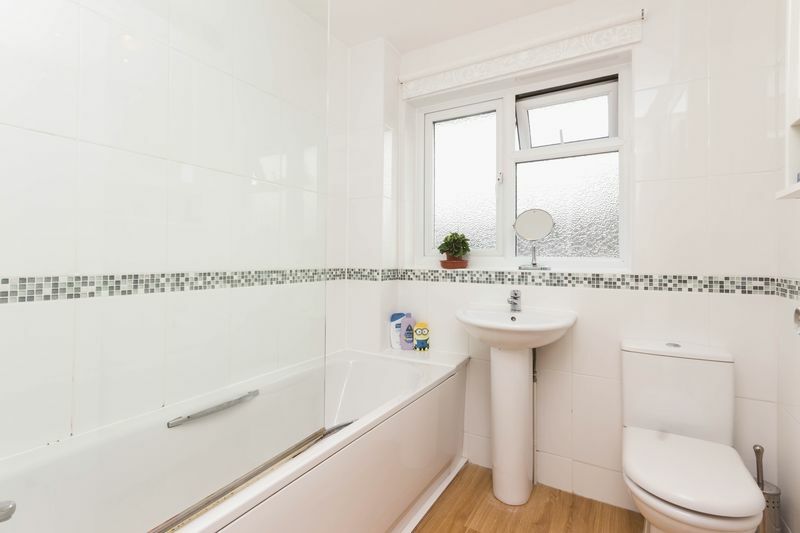 All three bedrooms are serviced by the family bathroom which is fitted with a panelled bath, WC and wash hand basin. An obscure glazed window allows for natural ventilation. 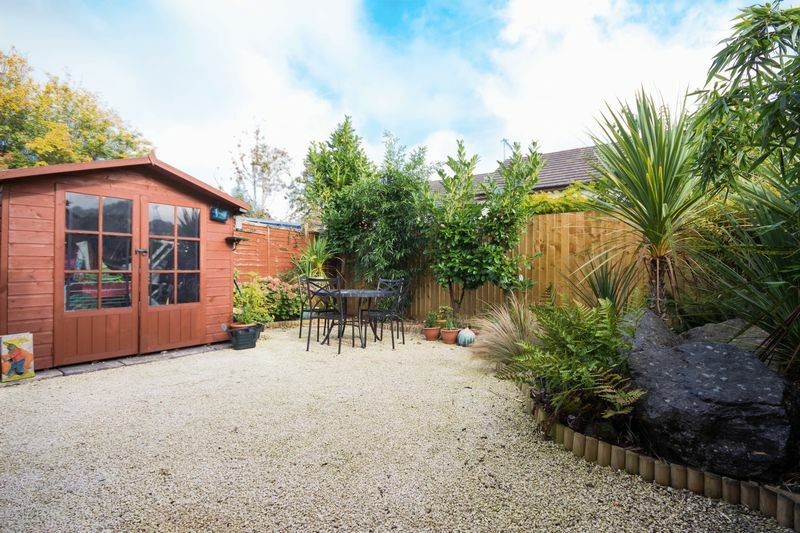 The garden has been well landscaped with decorative shingle with a border of shrubs and trees. Large feature boulders and a pond with water feature create a peaceful feel. Fencing provides the boundaries and there is a wooden shed in situ.